Having visited Angkor Wat, the day before, we had a day to relax. We headed into Siem Reap town and went to the cinema to see Moana. A very good film and little did we know at the time but we would learn a lot more about the Pacific Islanders migration and myths when we were in New Zealand. Back at the Overflow Guesthouse we swam and did some learning. 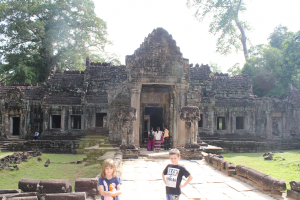 The following day we were excited to be going back into Angkor Wat Park. 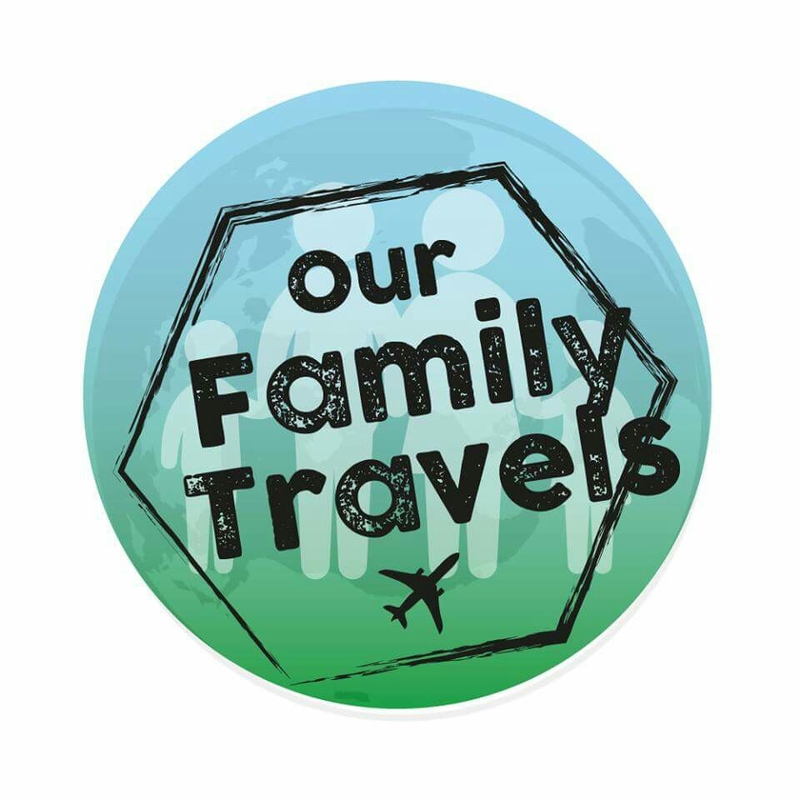 We were looking forward to Ta Prohm temple. 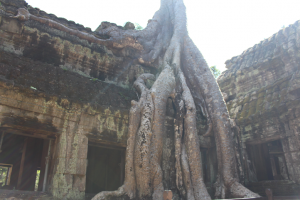 Nature is taking over with trees growing within the temple, and it was used in the filming of Tomb Raider with Angelina Jolie. 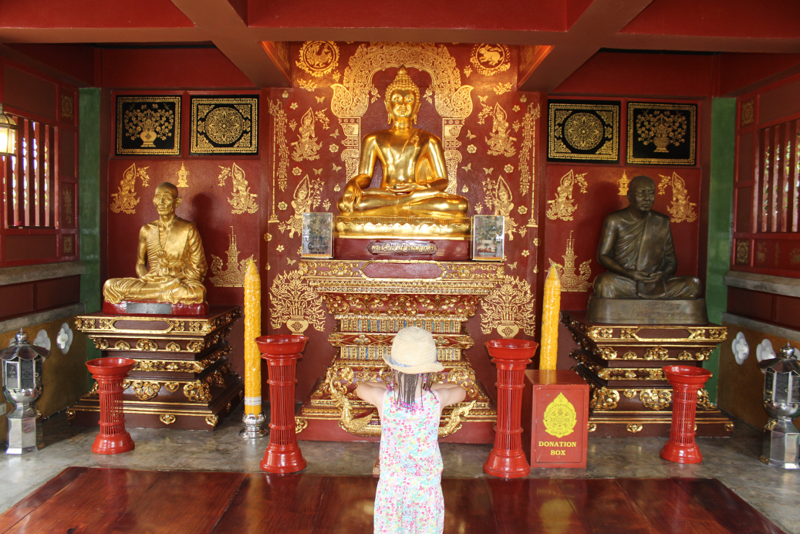 The kids were excited at the prospect of clambering all over this temple. Semi picked us up and drove us into the park. 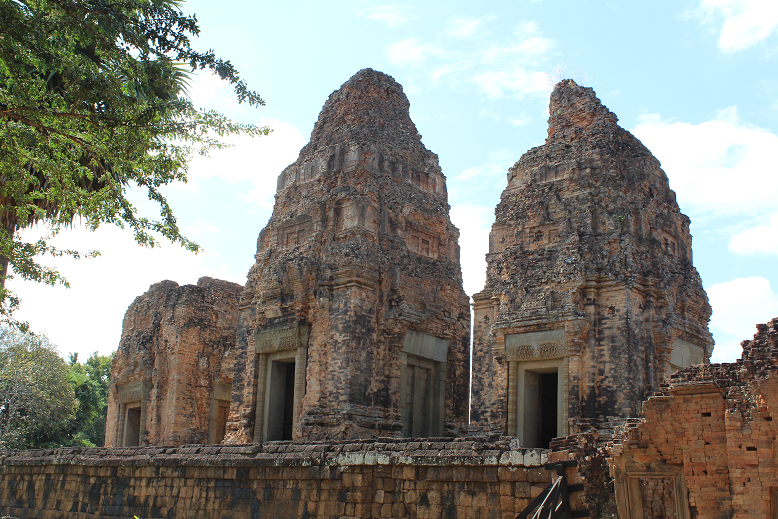 Our first stop was the small temple of Prasat Kravan. We took a few pictures here before continuing to Bantaey Kdei, a true gem. We had not expected much from this temple having heard nothing about it. The temple was more like a big maze for the kids, with some parts lying in ruin. While Mum and Dad enjoyed walking around here the kids absolutely LOVED exploring it. They ran in and out of structures and clambered over ruins, all while using their imagination to create a story about their expedition! We were excited to move on to Ta Prohm, however our expectations were far too high. As the trees are growing in the temple it makes some of the walls unsafe. You enter from one side of the temple and exit the other. Majority of the route is pathed and roped off to prevent damage to the temple and to prevent harm to you if anything should fall. It was packed full of people when we arrived and we all shuffled through slowly in the heat. The kids could not clamber about as we had thought and they got miserable. The temple itself, and to see nature taking over, was stunning. However, we had been spoilt by the freedom we had to explore Banteay Kdei. We called it a day and headed back to town for some lunch before pool time in the afternoon. The following couple of days we stayed in and concentrated on the kids’ education. One evening we took the kids to the Phare circus. All the performers have come from an underprivileged background and have trained for eight years. The acrobatics were phenomenal and the kids really enjoyed the hour and a half showing. 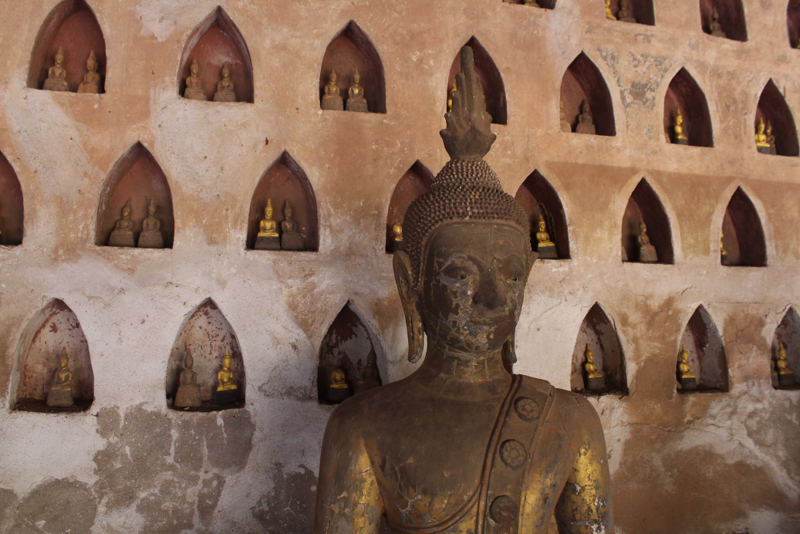 We would recommend a visit here if you are ever in Siem Reap. On our final full day in Siem Reap, Cambodia we returned to Angkor Wat Park to visit some of the lesser known temples. 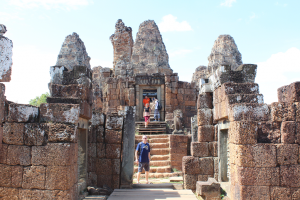 We visited Preah Khan, Neak Poan, Ta San, East Mebon and Pre Rup. The kids had enough by the 2nd temple. Semi put a hammock in his Tuk Tuk and our daughter lay in it after the first two temples. Our son joined her after the third. When we left Angkor Wat Park for the final time we were satisfied we had done it justice. An afternoon of swimming was followed by packing. We were awake early the next day for a flight to Kuala Lumpur. We know the city well by now. Over the next few days we went to the cinema (Trolls and Sing), visited other world schooling friends and organised everything for our next flight. 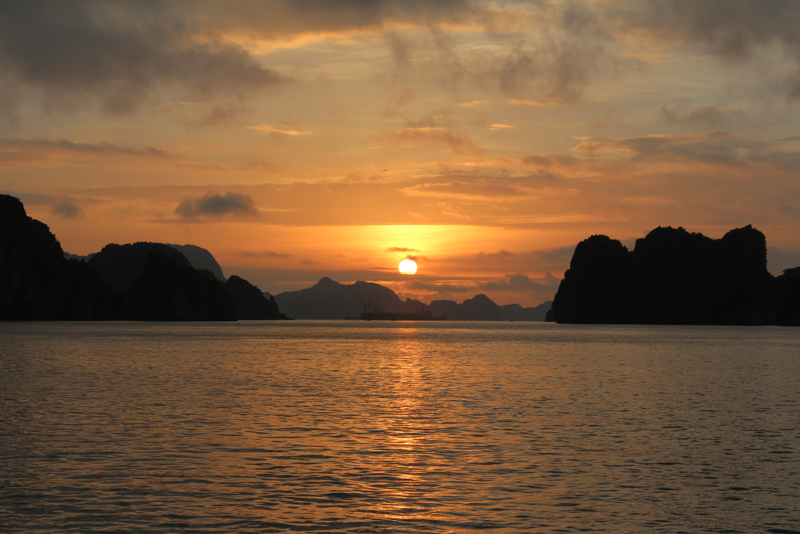 We had come to the end of our time in South East Asia. Amazing, friendly people made the last five and a half months very memorable. As our plane took off for New Zealand, we knew we were on to the next stage in our adventure.